Pink Himalayan salt has been getting a lot of attention lately. You can find salt lamps, recipes for salt baths, and even premade salt shower scrubs on wellness websites and in health stores everywhere. Proponents encourage you to wear it in a pouch around your neck, mix it in your nasal wash, use it in a foot soak, and as a treatment for acne. But is this pink salt worth the hype? The Himalayan mountain range in Asia, with 14 mountains standing over 26,000 feet tall, is the tallest mountain range in the world. Ages ago, much of this stately range was underwater. The pink salt that remains there today is thought to have been formed from marine fossil deposits over 250 million years ago. This ancient salt is widely regarded as the purest form of salt available, and its benefits are numerous. It can fortify your body with the 84 minerals and elements it contains, improve circulation, lower blood pressure, and lightly exfoliate the skin. Another aspect of this salt we love is that, when heated, it emits negative ions. Negative ions, most abundant in natural settings with clean air, can help neutralize the free radicals in your body, rid your blood of toxins, improve your immune system, and balance your autonomic nervous system. 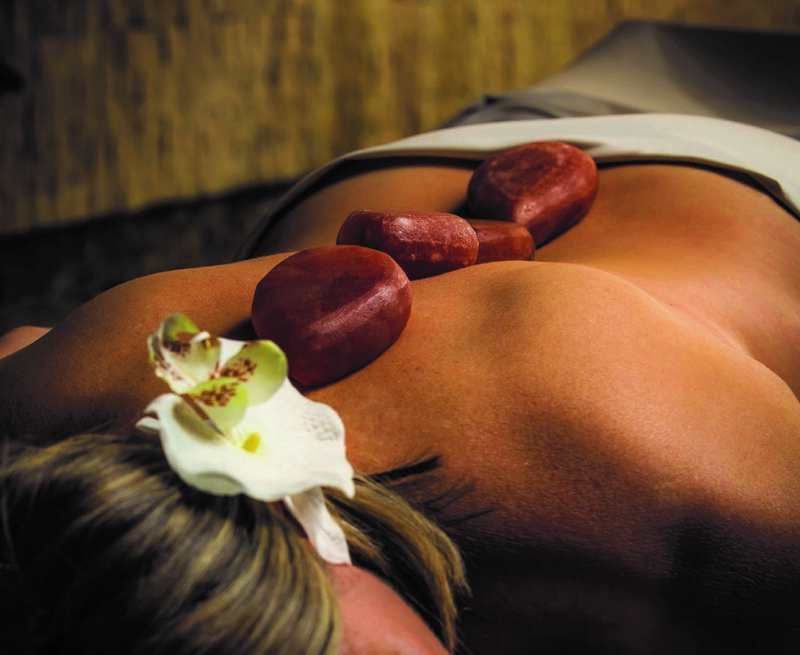 - Your massage therapist will utilize smooth, heated salt stones during your massage. These stones are heated with an LED warming technology that requires no chemicals, and will hold their heat for a large duration of your massage. - He or she will place them on various parts of your skin, and let them remain there to penetrate deeply. He or she will also move the stones around your body as an extension of his or her hands, using them to loosen tight muscles and balance the Tsing points and meridians in your body. - As the Himalayan salt stones deposit healthful minerals such as calcium, potassium, and magnesium into your body, the negative ions they emit will likely help impart on you a profound sense of well-being. We source our stones from Saltability, a Missouri company that is dedicated to obtain and provide 100% pure Himalayan pink salts for our massage stones. Not only are they beautiful to look at, but their purity and quality lead to the most healthful stone massage experience we can provide. So is the salt worth the hype? We believe it is, given that the salt used is pure and sourced authentically. We encourage you to give a Himalayan Salt Stone massage at Elements a try. Be warned, however; once you go pink you may never want to go back.